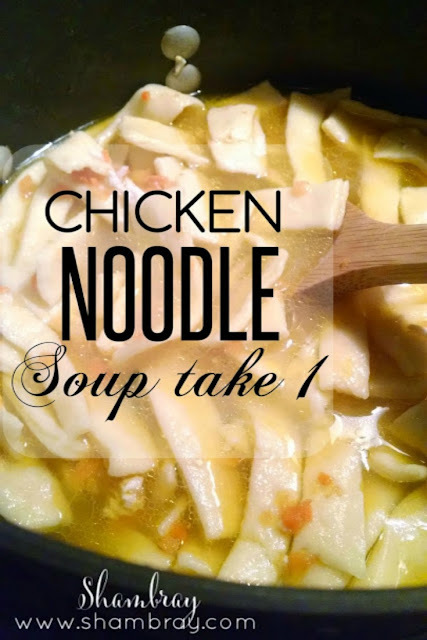 I recently had someone ask me if I would write a post about Chicken Noodle soup. I thought, "Um...yes!" I love soup during the Fall and Winter so this was perfect timing. I decided to try out three recipes and make them my own. Then I tested them along with my husband and friend. There are going to be three different posts with each of them and then at the end we will share our favorites. First one was inspired by Britni with Play. Party. Pin. (see post here). I did change some things though. So I will post my recipe here and then you can check out Britni's and choose one that works for you. 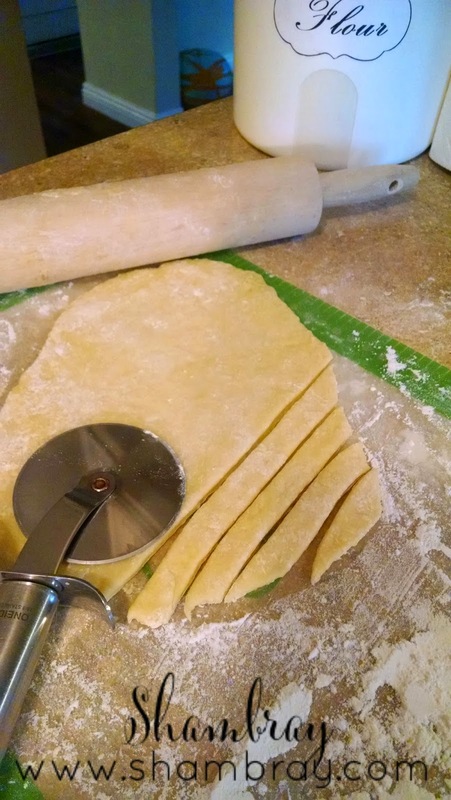 Make your egg noodles first (see recipe below). That way they can dry a bit before you put them in the soup. Place a large pot over medium heat and add olive oil. Add carrots and minced garlic. Add bay leaves and season with salt and pepper, to taste. Add chicken broth to the pot and raise heat to bring liquid to a boil. Add diced chicken to the pot, return soup to a boil, and reduce heat back to medium. Cook chicken for two minutes then add egg noodles. 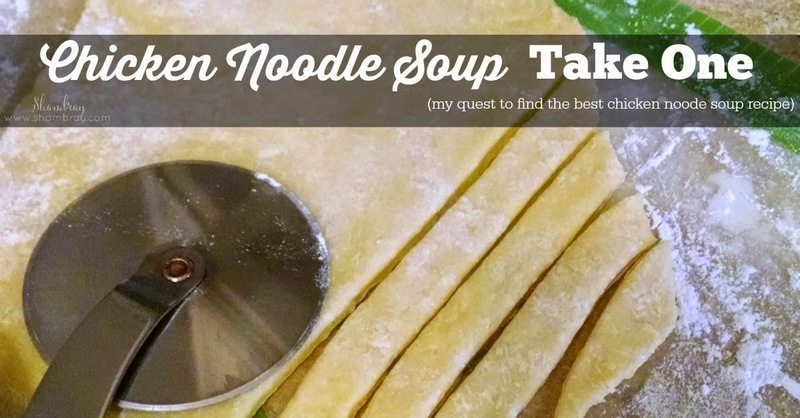 Cook soup an additional five minutes or until noodles are tender and floating to the surface. Remove pot from heat. 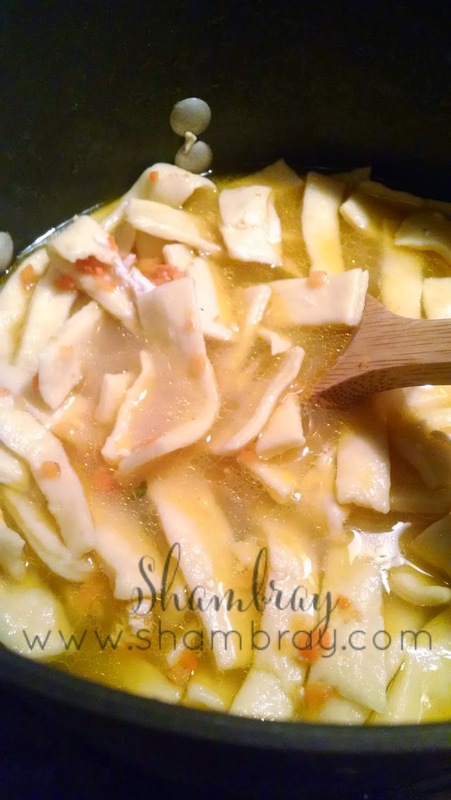 Remove bay leaves from soup and serve hot! Stir in flour with a spoon until combined. Once combined, separate into three balls. Roll each ball out thin and cut into thin strips with a pizza cutter. 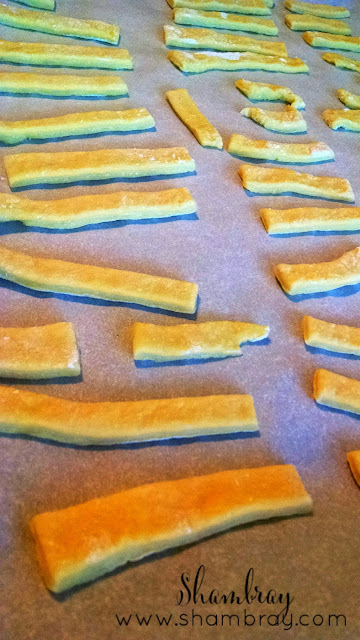 Let dry on a baking sheet with parchment paper. This recipe is not only yummy, but so quick. My husband loved it so much he went back for seconds. That does not happen often. So I was very pleased. I think the other recipes have a lot to compete with after this recipe! Let me know what you think of the noodles. I LOVED the way they turned out. I hope you enjoy it. It is so yummy.